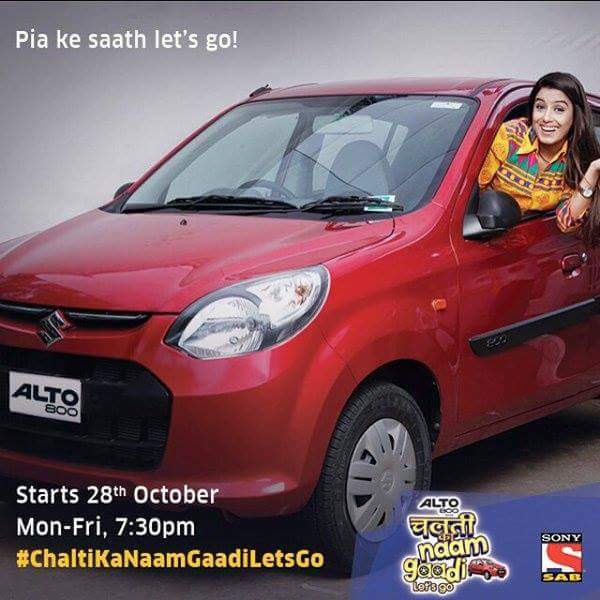 SAB Tv is going to launch a new tv show which will be based on 'Chalti ka naam Gaadi'. The new show/serial of SAB tv is sponsored by Maruti Suzuki. The show is produced by Deepti Bhatnagar . They are trying to add talented faces in the show. It is a story of Ahuja family living in New Delhi. The story revolves with their day to day ordinary life which takes an interesting U-turn when they buy their first family car Maruti Alto 800. Through this show they will be defining the ALTO 800 as not just a car, but a character which helps to break away from the monotony of life. Srishty Rode will be playing the role of Piya Ahuja, a married 25 years old lady. She will be the idle daughter-in-law of the house who tries new things like making new dishes, taking new initiative every time to impress her In-laws. And during these endeavours of her, the whole family comes together and takes the responsibility of the incidents occurring to reduce the burden of embarrassment on Piya. Sab Tv is still working on this show. As soon as we get any promo of this new show .We will definitely update it here. Stay tuned with us for more news about the show.